It's no secret that Birmingham is one of my & Mr W's favourite places & with new restaurants & bars opening every week we are never short of places to discover! Having said that The Keg & Grill isn't exactly new. We first heard about it a couple of years ago & finally got round to visiting it on our last trip to Brum. There are numerous glowing reviews so was it too good to be true? Picture this: A pub that serves Indian food...& that is The Keg & Grill, there are no fancy trimmings but you do get a warm welcome & that was a good start! 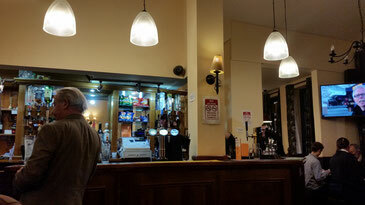 We had phoned ahead (it was late afternoon) & booked a table for early evening as we had heard that it gets busy! Our table had been reserved so Mr W ordered some drinks at the bar & I sat down to take a look at the menu. Although not extensive there is a good choice of dishes-starters (under £5) mains, including veggie options (under £10) & sides (up to £3.15). There are also fish options & something called a Grill. We saw one being brought out- a huge pile of mixed meats which smelled mouthwatering! Tempting as it was we decided to go for something else this time. For main I went for the Butter Chicken (£8.45) & a Plain Rice (£2.25) & Mr W chose an old favourite of his-Lamb Saag (£8.95) & a Garlic Naan (£2.25). 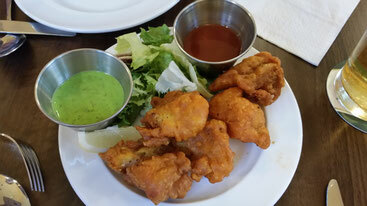 Mr W ordered our food at the bar (we opened a tab) & it wasn't long before the Fish Pakora arrived! The fish itself was wonderfully flaky, not mushy as with some dishes like this, & the light, crispy & slightly spicy batter was perfect. There was a brief fight for the last piece, which I won! 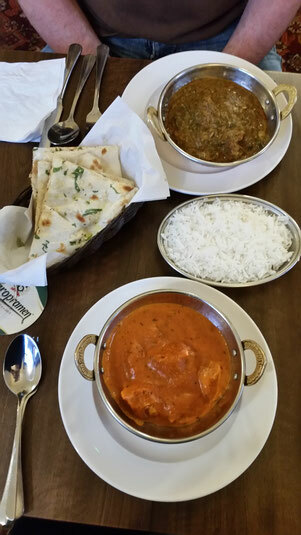 Compared to most Indian restaurants the portions here a small, but don't be fooled. The meat to sauce ratio is spot on & certainly fills the dish! My Butter Chicken was superb, the chicken was moist & the delicious creamy, buttery tomato sauce....just wow, I couldn't find fault! Mr W was equally as impressed with his Lamb Saag. Huge chunks of tender lamb which melted in the mouth in a rich & spicy saag sauce. The spices are noticeable but not overpowering & you can tell that everything is homemade, it's obvious why this place is so popular! Our total food bill came to £29.65, I can honestly say that it was worth every penny. It's rare to find such good food made from scratch (& with love!) at such a great price but it's waiting for you at The Keg & Grill! !